Please click to enlarge the image and perhaps read a few basic notes with the eclipse taking place in the Cadent (preparation) 6th house of Service (Military, Police, etc), Work, and Health in Washington. 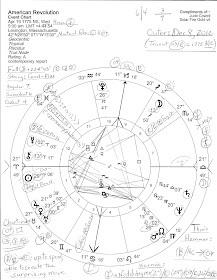 Venus @00Gem28 in 7th house of Partnerships conjoins the degree of the difficult Solar Eclipse of May 20, 2012 which triggered Fixed Star Alcyone in the Pleiades constellation with its something to cry about and/or exile themes. Multiplicity and duplicity are characteristics of the dual sign Gemini, as you know, and an unaspected Jupiter @19Gem23 approaches US natal Mars @22Gem, planet of war, strife, and contention though it is often a fortunate transit for Jupiterian luck may favor Mars' physical endeavors. Yes, the May 20, 2012 eclipse related and relates to the ongoing, reckless economic and budgetary stalemates now playing in our Capitol Hill Theater and which are damaging our nation's standing in the world along with Mr. Obama's presidency and the US economy with it. Odd really, since the Republican Party has always given much lip service to how 'strong' our nation must be perceived abroad. Yet sometimes since 2009, it feels as if the GOP is inviting attacks by staging their intransigent, provocative behavior. And the secessionist vibe? "A house divided cannot stand." But apparently that's what some entities want so that a full coup may be established in Washington DC. Astro-Note: in 1776, US natal Pluto began @27Cap33 Rx and has now progressed to 29Cap+; along the way Mr. Invisible Power crossed '28Cap', a degree which *Adriano Carelli gives as "Atlas Carrying the World on His Back" which brings up Sen. Paul Ryan's favorite obstructionist and survival-of-the-fittest idol Ayn Rand because of her book Atlas Shrugged in which wealthy, pouty corporatists take their financial marbles and beat a hasty retreat from their ungrateful victims. There are no coincidences and apparently US stock-dumping has been going on for while now. Chart-rulers of the Scorpio Ascendant you see above are Mars and sub-ruler Pluto but all we can surmise from their applying Ptolemaic (major) aspects (since Mars applies only to conjunction with the SN = war, violence, or a stepping aside from them) is a spotlight on the Uranus-Pluto square (0A39) in Cardinal (initiating action) signs from the 2nd house of the National Treasury, Values, and Earning Ability to radical Uranus @10Ari44 in the 5th house of Risk-Taking, Gambling, Speculation, Creative Pursuits, and Children. Thus, the Uranus-Pluto square of titanic generational clashes may gobble up the May 2013 Solar Eclipse cake, or at least the crumbs left over by an unaspected Jupiter which, as such, works in a one-pointed, intense manner--"all or nothing" is a good phrase for an unaspected planet, and here moneybags Jupiter in Gemini, sign of trade, commerce, transport, and communication, insists on providing growth and investment in our country although at the moment, he is not tied in with the energies (planets) of the May 9th eclipse horoscope. 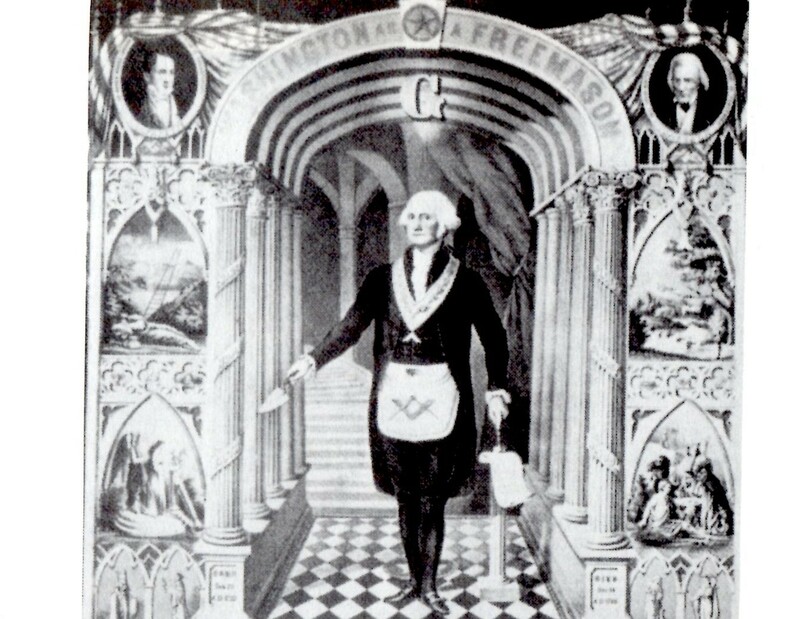 However, this Jupiter can be highly influential when he acts and this may denote what the president is able do toward investment without interference from the obstructive input of Congress. Or, perhaps the GOP will finally get wise to itself and cooperate for the good of our nation! Mercury-Neptune = Uranus: going 'far out'; sudden new ideas. Mars-Neptune = Uranus: reaching for 'pie in the sky'; energetically following the dream. 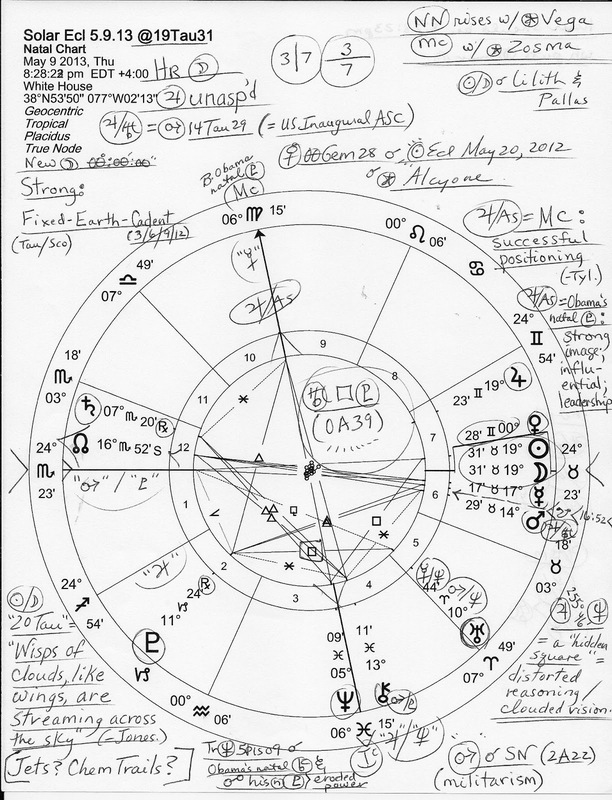 Jupiter-ASC = MC: successful positioning; being in the right place at the right time. 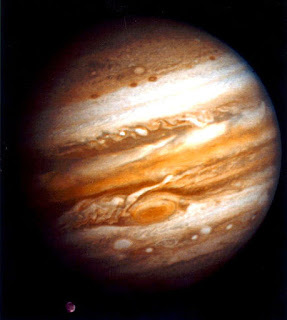 Jupiter-ASC = natal Pluto: strong image; influential; leadership. Sun-Mars = Mercury: alertness; ready for action; fast talk; busy travel. Moon-Mars = Mercury worrisome preoccupations; irritability; nervousness. Jupiter-Uranus = Mars: changing fortunes; drive and determination toward success. Jupiter-Uranus = Inaugural ASC: knowing the best will happen; optimism and self-confidence; success; fortunate twists in the way things transpire. Well, I like that last one as long as the American people are included in the Jupiterian festivities. So maybe I'd better stop typing on that fortunate note! 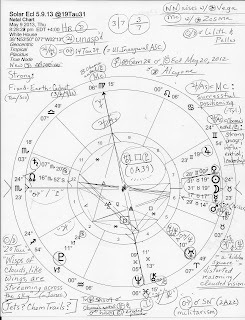 Other topics in the news include threats from North Korea; here's a previous post: Astro-Notes on North Korea's Natal Chart. *Adriano Carelli, The 360 Degrees of the Zodiac. Today's midpoint pictures from Noel Tyl, Solar Arcs; as always, any, all, or none may apply.